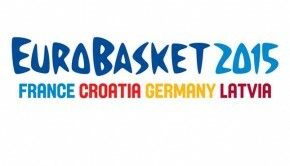 Spain suffered another painful setback on Monday after absorbing a disappointing 86-81 overtime loss to Italy in the final day of the second round of the EuroBasket Men 2013 in Slovenia. The defending champions looked poise to run away with a blowout victory, but Italy had other things in mind as they rallied in the final period of the match. Trailing for the majority of the match, Italy found themselves down by as much as 15 points in the final period, but they unleashed a huge rally to erase the lead and was punctuated by a huge buzzer beater from Luigi Datome that sent the game into an extra period. Italy rode on the momentum in the overtime wherein they had a huge 8-0 run that gave them a commanding eight-point lead. 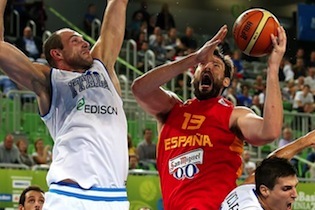 Spain tried to mount a comeback, but Italy held on to the victory. Alessandro Gentile had 25 points and seven rebounds, Pietro Aradori scored 17 points, while NBA player Marco Belinelli posted 16 points to go along with eight rebounds for Italy, which are expected to gain confidence heading into the knockout phase of the tournament because of the win. Marc Gasol had a dominant performance in a losing effort, finishing with 32 points and 10 rebounds, while Sergio Rodriguez added 18 points and six assists for Spain, which finished fourth in the group heading into the quarterfinals. 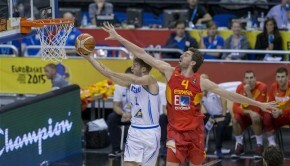 Spain will go up against Serbia, while Italy will face Lithuania in the quarterfinals on Wednesday.